We are big fans of the coop game Eldritch Horror from Fantasy Flight Games. The mechanics are good, the theme is enjoyable and win or lose, it’s always a great gaming experience. 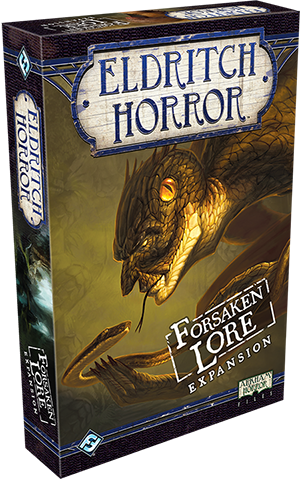 So obviously we were excited to get our hands on the latest Eldritch Horror expansion Forsaken Lore. It contains a new Great Old One, new encounters for the existing Great Old Ones and lots of new items and spells. So is it worth getting and risking going even losing more of your sanity? Listen and find out. It has been awhile since our last 5 Minute Initiative so we thought we would throw one out between our next to Episodes. Marty and I discuss Eldritch Horror and our likes and dislikes of this game. 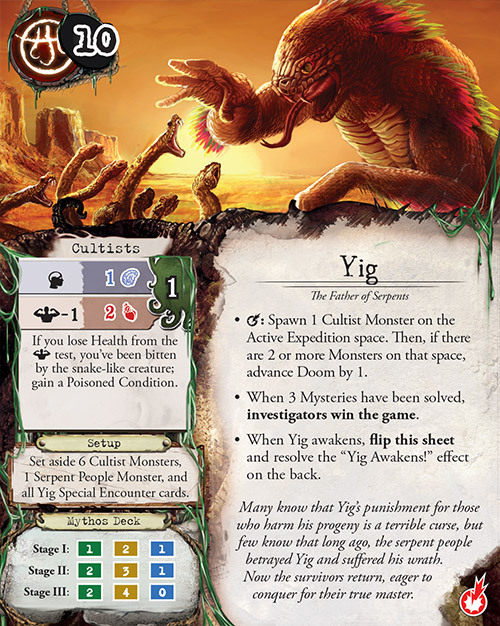 That is right, there are some drawbacks for us, but for me, I think I enjoy this one the most out of the Cthulhu series by FFG. Below are some Pros and Cons that we threw together to help you with the game if you haven’t played it yet.